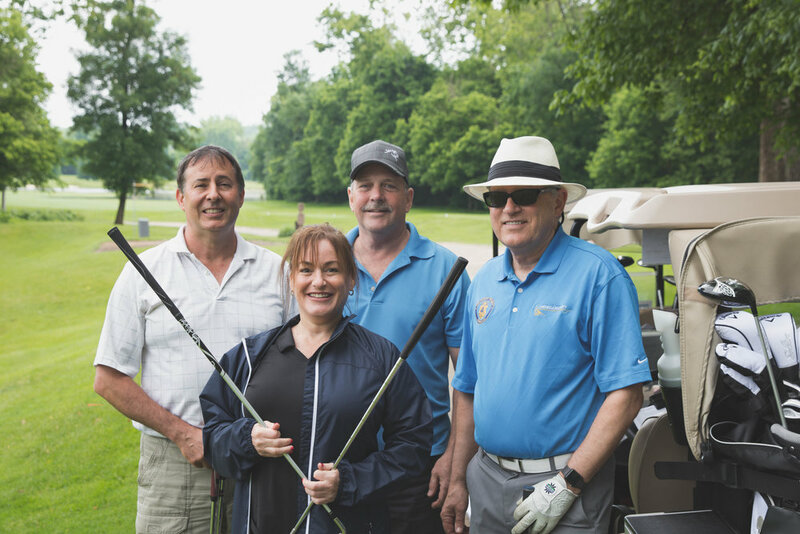 28th Annual DSF 'Mike Considine’ Charity Golf Outing: A little wet! 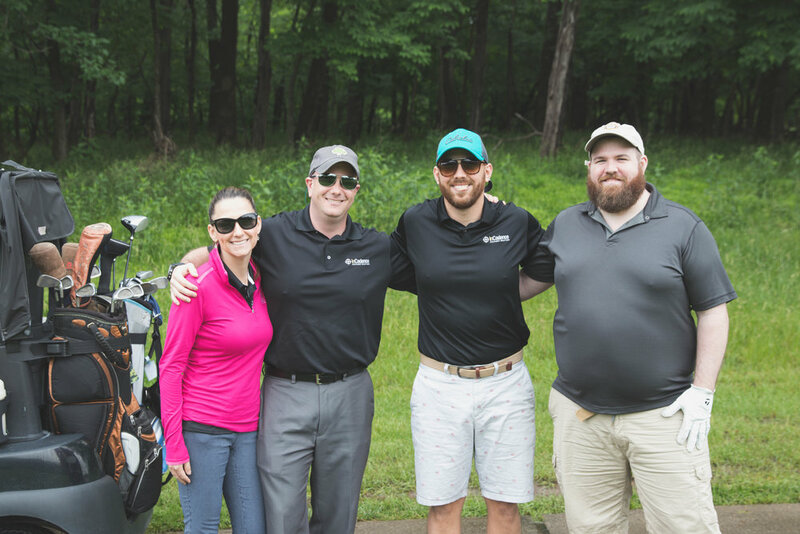 The 2018 Golf Outing, held at the Lansdowne Resort on June 3, 2018, was one of the most interesting events we’ve ever had. While it had rained all weekend, we arrived to beautiful, sunny weather, a perfect day for golf. But it turned out that all that rain had filled up all the rivers that dump into the Potomac River which borders the Lansdowne Resort. After our shotgun start, the river began rising, and didnt stop! First the water rose up enough to flood the 1st and 9th holes on the Greg Norman course. But by 11am, it had flooded most of the front nine of the Norman course, making all bridges impassable. By 1pm, most of the back nine was also submerged, so for the safety of the Norman golfers, the entire golf course had to be shut down. Luckily, lunch was ready and waiting for our fearless golfers. So while it wasn’t an ideal day, it was certainly memorable for our golfers, many who ended up playing barefoot! Overall the event was a huge fundraising success. Thanks to all of our fabulous sponsors and golfers, it was another banner year and netted $236,000 for DSF. The money raised from this event will be used to support the DSF mission of providing timely grants to those in the world-wide DS 'family' during times of hardship or crisis. (View GRANTS). Thanks to all our sponsors and friends for making this year's golf outing a smashing success! This event sold a few weeks after we opened registration. So if you plan on joining us in 2019, be sure to sign up soon! There isn’t a water hazard at this hole - except today! A special thanks to Lindsey O’Neil, wife of SA Josiah O’Neil, for spending the day with us and taking such amazing photos! Here are just a few photos. Be sure to visit our photo gallery for many more. We can't thank our sponsors enough for their support of this event. A big shout out to our top sponsors: Sallyport, Janus & Chevron. Please check out the list of all our amazing sponsors. We had 300+ golfers, 55 sponsors, 41 Hole Sponsors and 25 In-Kind sponsors. And if your name isn't on this year's list, we hope to see your name there next year. Registration to open February 1, 2019.